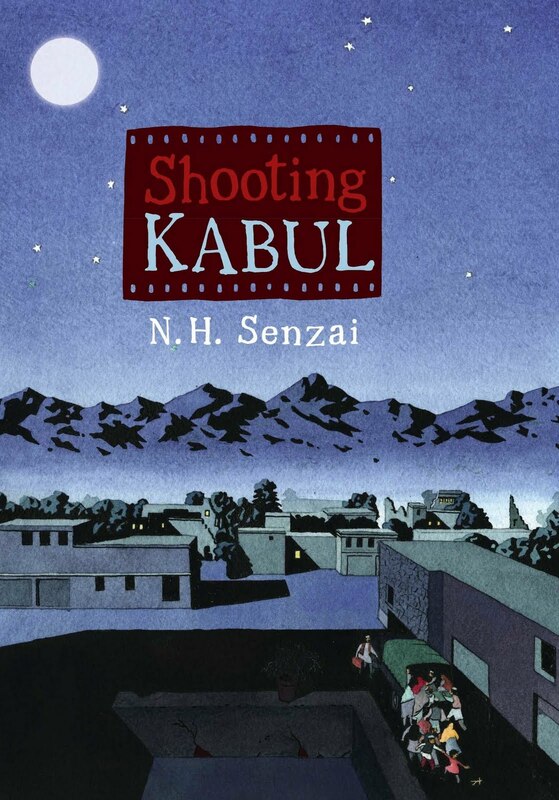 Shooting Kabul by N.H. Senzai. (Grades 4-7.) Simon & Schuster Books for Young Readers, June 2010. Reviewed from ARC provided by publisher. After the Taliban pressures his father to join them, Fadi and his family must flee Afghanistan. They sell all their belongings and use their life savings to secure passage to Pakistan. On the night that they board the truck, something terrible happens. People are scrambling to board the truck, desperate to escape the country. Fadi's six-year-old sister Mariam drops her doll and, in turning back to look for it, lets go of Fadi's hand. The truck takes off, trying to outrun the Taliban members who ...more After the Taliban pressures his father to join them, Fadi and his family must flee Afghanistan. They sell all their belongings and use their life savings to secure passage to Pakistan. On the night that they board the truck, something terrible happens. People are scrambling to board the truck, desperate to escape the country. Fadi's six-year-old sister Mariam drops her doll and, in turning back to look for it, lets go of Fadi's hand. The truck takes off, trying to outrun the Taliban members who have appeared on the scene. And Mariam is left behind in Afghanistan as Fadi and the rest of his family make their way to America. I saw this one on Betsy's Simon & Schuster preview post and my interest was piqued. I mean, with a premise like that, how could I not be? Well, I definitely let out a *squee* when I saw this ARC in the envelope from Simon & Schuster and I wasn't disappointed. I picked it up right away and didn't put it down until I was done. Shooting Kabul is a moving portrait of one family's flight from a war-torn country and their struggle to acclimate to life in America. Fadi and his family (parents and older sister) have to learn a new language, learn new customs, find jobs (not easy! ), and get used to living in a completely foreign place. All that is hard enough without the massive guilt that Fadi feels over letting go of Mariam's hand. He knows it's his fault that his sister is lost. He knows that the family would be doing much better in America if only Mariam was there with them. Afghanistan gets talked about a lot and kids might have a rather muddy idea of what has gone on "over there" during the past decade. Shooting Kabul does a good job of shedding some light on these recent events without sounding like a textbook. Fadi and his family are in America for 9/11 and they face prejudice from the Americans they know. It's not an easy time to be an immigrant in the US and this book gives middle-grade readers a valuable glimpse through the eyes of an immigrant family. This is an impressive debut and I'll be looking for more from Ms. Senzai. Shooting Kabul hits shelves on June 22. I am always on the lookout for good "thinking books" for middle grade readers for my Ink Spells blog, and this one definitely sounds intriguing. Do you feel like the sensitive issues were handled well for the grade level? Is there much violence in the story?